Just as vinyl has seen an unexpected surge in popularity among lovers of music packaging in the past decade, the cassette format has gained a surprising amount of cachet in recent years. 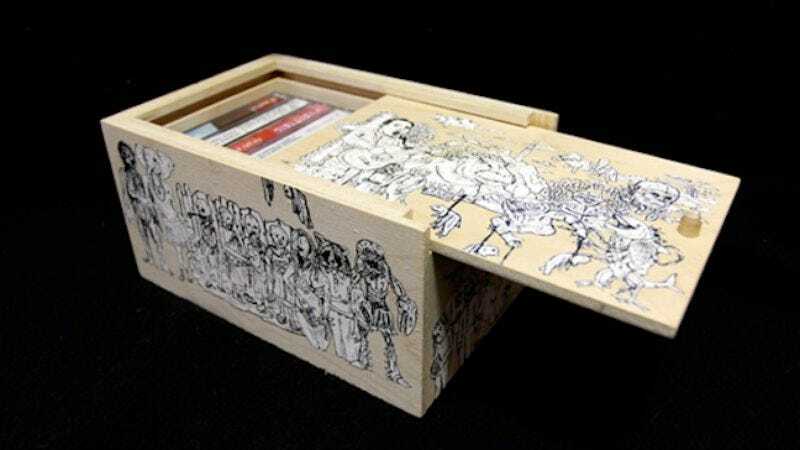 On Oct. 25, Of Montreal will release its entire catalog in the form of a cassette box set packaged inside an actual wooden, intricately ornamented box. Barnes also talked about the next Of Montreal album, Paralytic Stalks, which he’s currently working on. “It’s a bit more esoteric, and it’s probably not something everybody’s going to like,” he said. “I can see a lot of people having problems with it, but I can also see a lot of people loving it.” So there you have it: You will love the next Of Montreal record. Or you might possibly not love it.